With the All-Clad Copper-Core 5 quart saute pan with lid, you can sear and saute at lower heat settings on your cooktop thanks to its heat-conducting copper center layer. 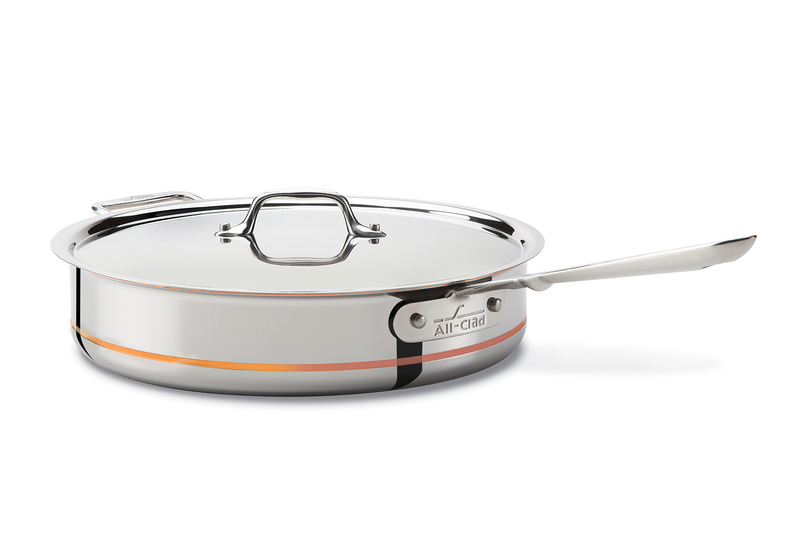 The 3-layer construction of stainless steel and copper means that this pan heats up incredibly fast and evenly. It also has a beautiful polished stainless steel exterior and cooking surface and it's suitable on any cooktop, including induction. This Copper Core saute pan is made in the USA. You'll love the way this Copper Core saute pan heats up at lower heat settings on your stove. Copper-Core heats faster than any other All-Clad style because of its inner copper layer.